As the year has progressed, both teams have shown an ability to push when the opportunity presents itself, and pull out into a half-court offense when the fast break is not there. The improvement could prove critical as the Lions and Lady Lions enter the post season. The Lady Lions have given fans excitement as their fast paced play has them at 15-4 to finish out the regular season. Three of those four losses came early to top ranked 3A teams, Colorado Springs Christian, St. Mary’s, and Pagosa Springs. 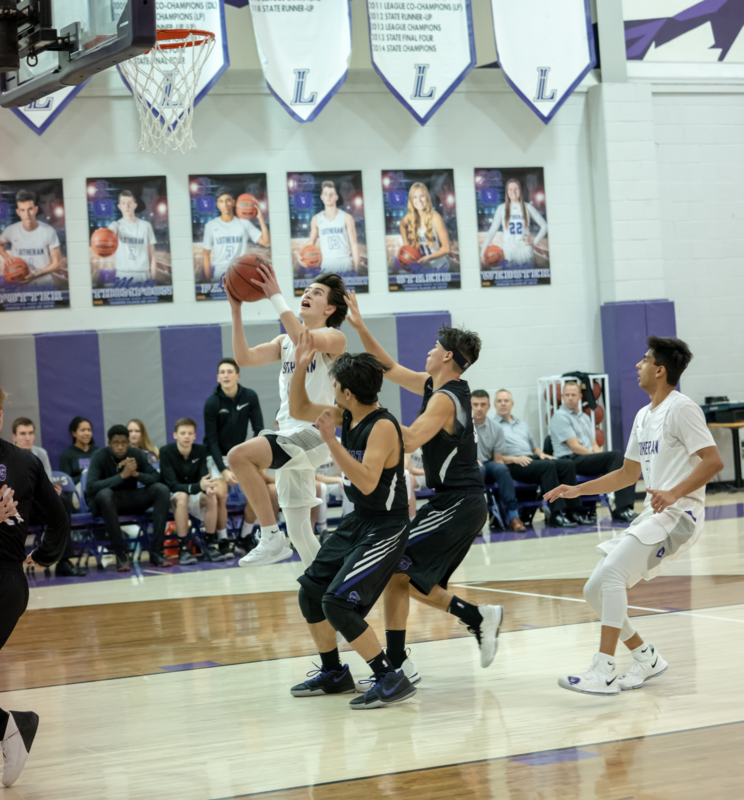 Lutheran sits atop the Metro League, with their only league loss coming at the hands of rival Faith Christian. Leading the way is Sophomore guard Stephanie Schultz, whose 16 points-per-game is 5th in class 3A. She, along with Senior guard Kate Webster are averaging over 3 steals per game. The speed and athleticism of the Lady Lions are characteristics that are utilized in often older and more experienced opponents. 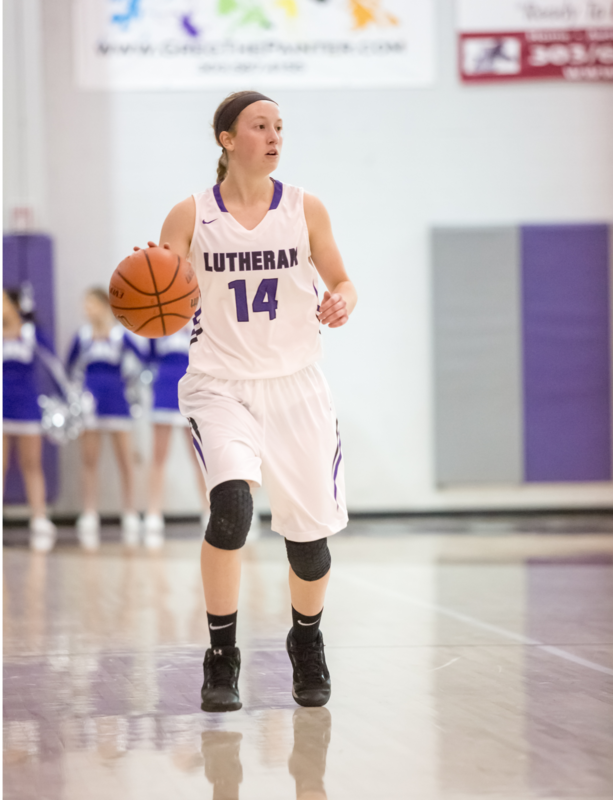 A blazing offensive pace, as well as on the ball pressure has allowed Lutheran to take advantage of their strengths. “We are younger and shorter than every opponent we face, but we are also deeper athletically. We try to capitalize on that by keeping the pace up and the floor spaced. Our pace and pressure has been really effective for us, not to mention it's fun to watch and the girls enjoy playing this style.” commented Coach Duitsman. Bill Brandsma’s Lions have shown flashes of brilliance this season, and have continued to climb the ladder of success knowing that the top two rungs would pair them with Manual and Sterling, the top two teams in class 3A. Those last two games didn’t disappoint as Lutheran lost at Manual, and defeated Sterling at home. “I love the toughness and resiliency of this team. We have faced adversity in several forms and continue to overcome, and in many instances it has brought us closer,” noted coach Brandsma. As the season ends, they sit at 14-5, good for third place in the Metro League behind Manual and Faith Christian. The Lion Men have similarly pushed to keep game pace as fast as possible, while keeping in control on both sides of the ball. Their attack has been led by their Seniors. Matt Thompson, Hayes Faulkenberry, Aidan Potter, and Jeet Pathak. Thompson, Faulkenberry and Potter lead the Lions in points-per-game with 13, 11, and 10 respectively. Sophomores Josh Grieving and Tommy Apodaca have played an integral role in the back-court along with Pathak, keeping turnovers down, and creating points. Catch some playoff basketball action tonight - February 19th - as both teams host districts here in the LuHi gym. The girls will play Jefferson Academy at 5:30, followed by our boys vs Jefferson Academy at 7:00. See you there!